Pura Tirta Empul Tampak Siring as relics of the kingdom in Bali, one of the few ancient relics are interesting to watch and note in this village. Next to West of the Temple, at an altitude there is the Indonesian Presidential Palace built in the reign of the First President of the Republic of Indonesia, Mr. Soekarno. Indonesian Presidential Palace, seen on the above hill. 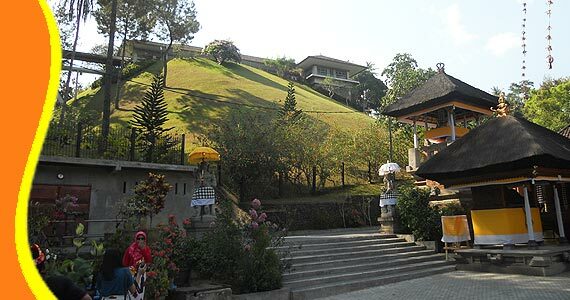 Regarding the name of this temple is most likely taken from a spring that is contained in this temple called Tirtha Empul as mentioned above. Etymologically that Tirta Empul means water that gushes out of the ground. 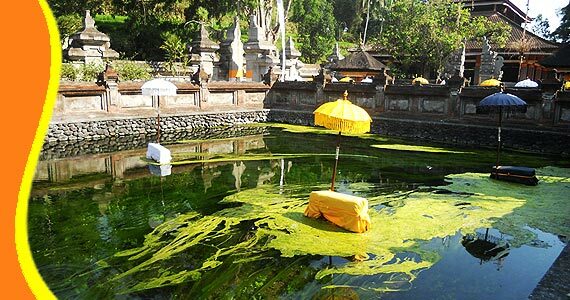 The water of Tirta Empul then flows into the river of Pakerisan. Along the river, there are some ancient relics. The establishment of this temple was estimated in 960 AD in the era of King Chandra Bhayasingha from Warmadewa Dynasty. As usual Balinese temple, this temple is divided into three parts: Jaba Pura (Outside), Jaba Tengah (Middle) and Jeroan (Central). The Main temple where the Balinese people praying after bath. In the Jaba Tengah (middle area of the temple), there are two (2) pieces of a long rectangular pool and the pool has 30 pieces lined shower from East to West facing South. 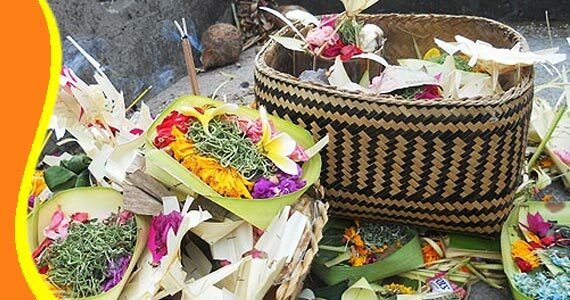 Each shower, according to the tradition has its own name such Pengelukatan showers, Pebersihan, Sudamala and Shower Cetik (Poison). 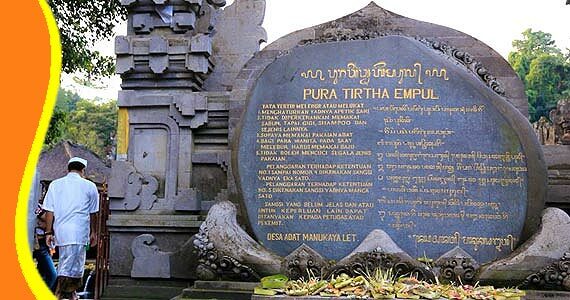 The name of Shower Cetik and Tirta Empul has something related with the mythology of Mayadenawa King Stone Newer (Bedahulu) with Batara Indra battle. In mythology it is told that King Mayadenawa being arbitrary and not allow people to carry out the a religious ceremony to beg salvation from God Almighty. After the deed was known by the gods, the gods headed by Batara Indra attacked Mayadenawa. Finally Mayadenawa can be defeated and fled to north side of Tampak Siring Village. Many guest come to visit Tirta Empul Temple everyday. 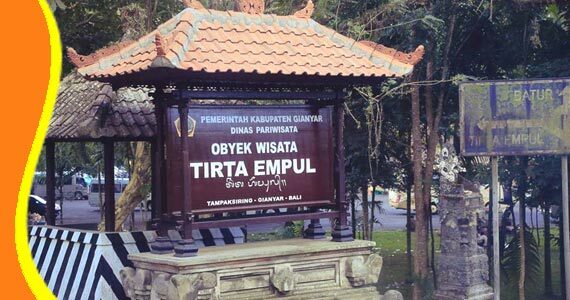 Make the Tampak Siring Tirta Empul become a popular tourist destination in Bali. As a result of his power Mayadenawa create a spring of cetik (poison), which resulted in many of the irregulars of Lord Indra who died from drinking the water. Seeing this Batara Indra immediately plugged the spear and emit water out of the ground (Tirta Empul) and sprinkled holy water is used so after that the all gods could live again as usual. Entrance ticket should buy in ticket counter. Available the brochure at counter. They will check your ticket on the way to the temple. 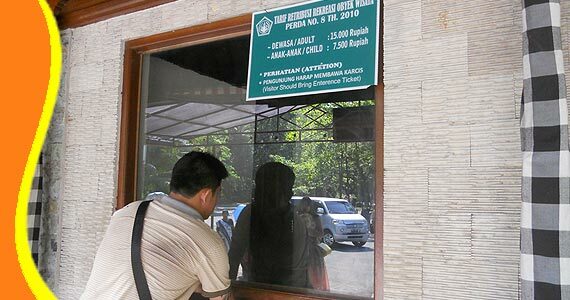 For further explanation and the information about Tirta Empul Temple Bali, Tirtha Empul Bali, Tampak Siring Tour, Tampak Siring Ticket fee and Transport. Get a Bali Transport from your stay (Bali Resort or Bali Hotel). 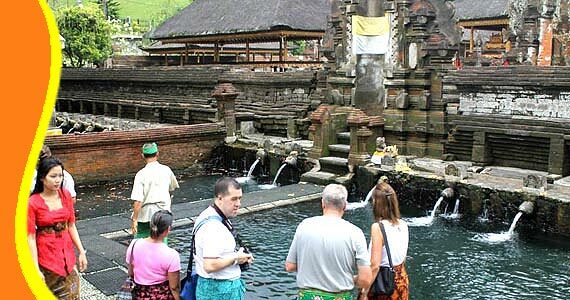 You can contact us if you need transport to go to Tirta Empul Tampak Siring and other related Bali tourist destination. 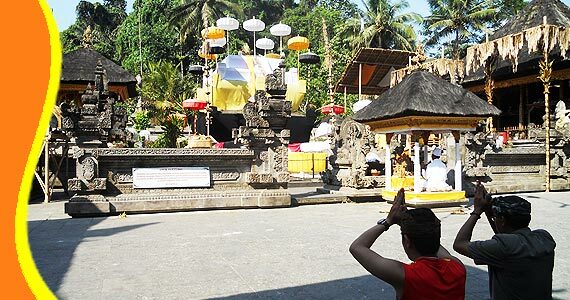 Tour to Tirta Empul Tampak Siring Bali can be combined and implemented in conjunction with other activities Trip or Tour in the same direction. For those who violate the provisions of No. 1 to 4 subject to sanctions of Yadnya Eka Sato, and violation of the provisions of No. 5 subject to sanctions Yadnya Manca Sato. The regulation before you entering and doing bath ritual. - Women in the state of menstruation, gave birth and abortion. - In the state of being snag death. - Do not enter the temple if not obey all manners and regulation. - Suffer other stains which by its nature can be considered to tarnish the sanctity of the temple. - Staining the sanctity of the temple (dress immodestly, defecation, flirting, fighting, scribbling buildings or shrines). Watch Youtube a beautiful Temple of Tirta Empul Tampak Siring, people doing bath purifying ritual.